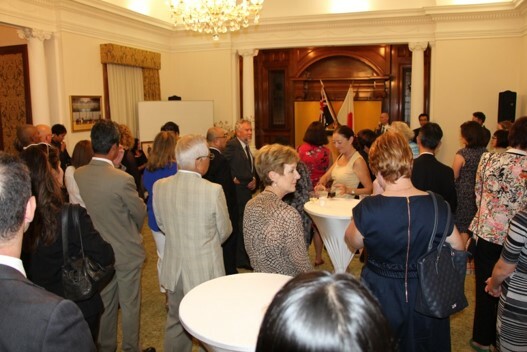 On Friday, March 16, a Reception was held at the Consul-General’s Residence, attended by people from various fields involved in Japanese language education, to celebrate the conferment in the Japanese autumn of 2017, of The Order of the Rising Sun, Silver Rays upon Ms Tsuyako Sogawa Coveney, and also to mark the occasion of the Japanese Language Teachers Association of WA’s (JLTAWA) annual conference. 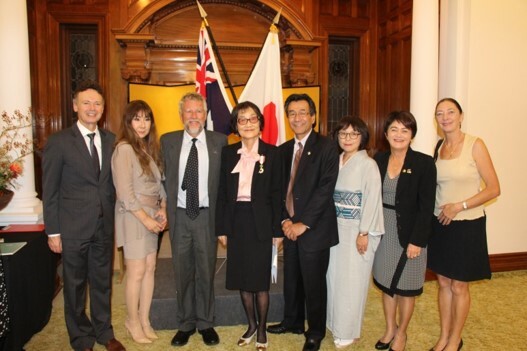 Attendees included Mr Chris Tallentire MLA, Parliamentary Secretary to the Minister for Water; Fisheries; Forestry; Innovation and ICT; Science (representing the Minister for Education and Training), JLTAWA President, Ms Rosanne Jacobs, Ms Sogawa Coveney, former head of Japanese Studies, at UWA’s School of Economics, and Japanese language education specialists from the Japan Foundation in Sydney. 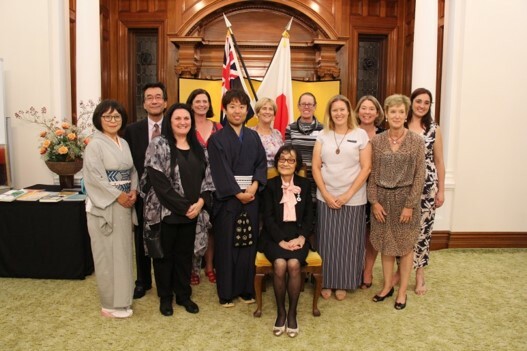 Consul-General Hirayama expressed his appreciation to all the people working hard to promote the teaching of Japanese language in WA , while expressing his commitment to working towards the further development of Japanese language education. 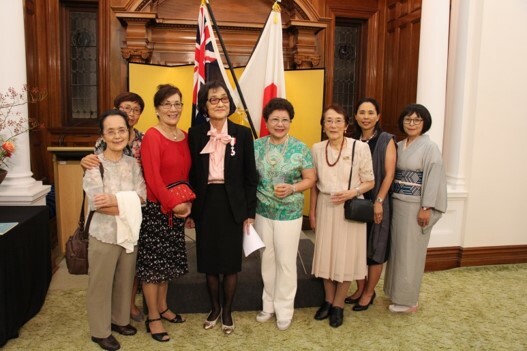 This reception brought together the people, both past and present, who have worked tirelessly in the fields related to Japanese language education in this state, and was a valuable opportunity to raise awareness and promote discussion around the history and current state of Japanese language education in WA. *Inquiries concerning passports, visas, certificates, police clearances etc., WILL NOT be answered by email, and should be made by telephone to the Consular and Visa Section on 9480 1800. Please note that the office will be closed on Public Holidays as well as on some Japanese Public Holidays.